The DIN-rail Rack Mount Hardware is installed in a standard 19” rack cabinet to allow DIN-Rail mounted equipment to be rack mounted. 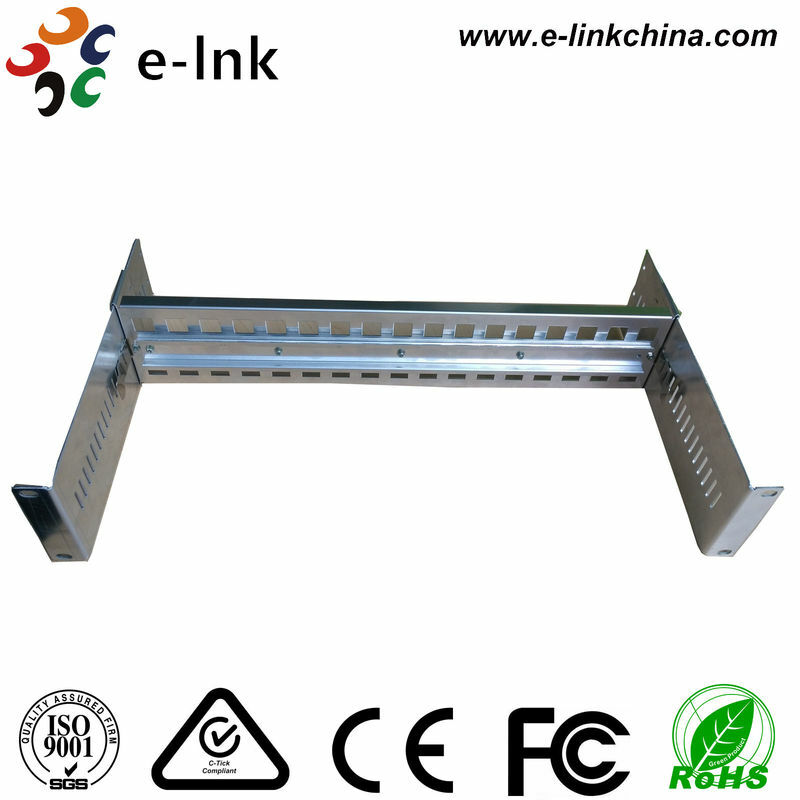 E-link DIN-rail Media Converters, DIN-Rail Ethernet PoE Switches and DIN-rail Power Supplies can be suitable for this Rack Mount Hardware. 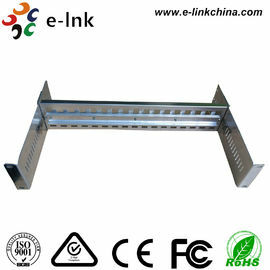 The Rack LNK-DR1900 is installed in a standard 19” rack cabinet to allow DIN-Rail mounted equipment to be rack mounted. This quick guide shows you how to assemble the Rack. Slide the Rackmount Chassis Holders (2) into the guide rails on two sides of the Rackmount DIN-Rail Chassis (1) and adjust the Rackmount Chassis Holders (2) to appropriate position. Push backward or pull forward the Rackmount Chassis Holders (2) along the guide rails on two sides of the Rackmount DIN-Rail Chassis (1) to adjust the depth of the Rack and offer flexible space for fitting in DIN-rail mountable equipment. Please make sure the Rackmount Chassis Holders (2) and the Rackmount DIN-Rail Chassis (1) are securely assembled. Slide the Rack into the standard 19” rack cabinet. Then use screwdriver and four screws to attach the Rack to the standard 19” rack cabinet.